Ravi Padmanabha's "My Nada Brahma" is not your grandfather's Asian Indian ensemble. Okay, your grandfather may not have had an Asian Indian ensemble. 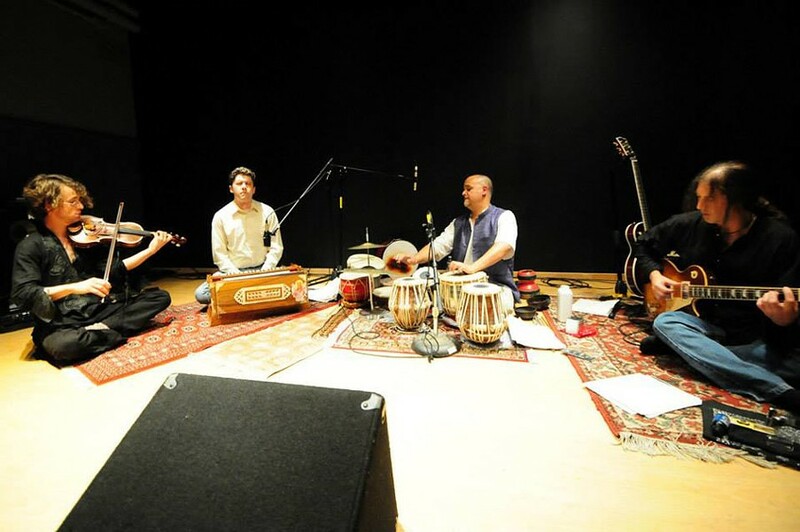 But Ravi Padmanabha is a master tabla player and percussionist and when he's joined by Ron LoCurto on guitar; Michael McNeill, harmonium; and David Adamcyzk, violin, they produce a unique brand of fusion combining elements of Indian folk and classical music with improvisational jazz. Ravi Padmanabha's "My Nada Brahma" performs Sunday, October 26, at Bop Shop Records, 1460 Monroe Avenue. 8 p.m. $10, $5 students. 737-0137; bopshop.com; ravipadman.com.